This listing is for the speedometer cable that goes from the cruise control unit to the gauge on 1975-1979 Full Size Jeeps. This will fit all with the 4.2L 258 straight 6, the 5.9L AMC 360 V8, and the 6.6L AMC 401 V8. 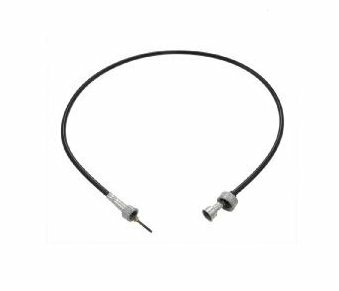 Q: hi guys, is this speedometercable also suitable for CJ7 TH400 with Quadratrac transfer case? A: Possibly, but our system doesn't have any notes for the CJ application so I can't guarantee it.